Last week I took a little trip over to Rome, Italy for a much needed city break. Truth be told, it's been around 10+ years since I was last on a plane so I was pretty keen on seeing as much as possible! 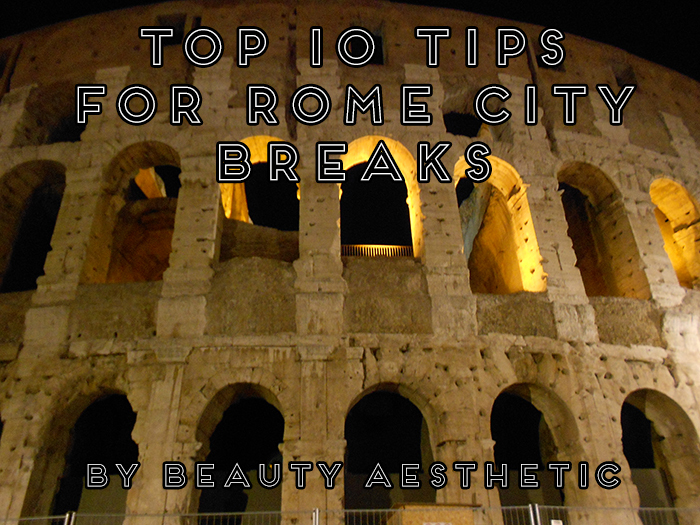 From amazing food to sightseeing, there's so much to do in Rome so I thought I'd share some of my top 10 tips for the best experience possible. If you're planning to go, here's what you should know. 1. Stay close to the Termini station. The Termini is the main train station in Rome which gives you access to the Metro, bus services and other train lines. This makes it 10x easier to get around and you won't have to rush to get to all the main attractions. We stayed in the Castro Pretorio area which is 1 metro stop from the Termini, a very quiet and safe area with armed guards 24 hours a day. 2. Take advantage of free walking tours. 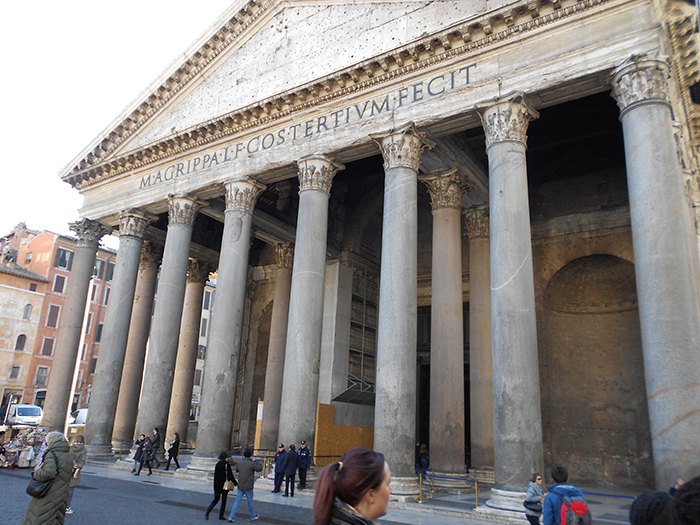 There are many different tours to choose from but I'd highly recommend the Rome Free Walking Tour company. It's made up of a group of individuals, ranging from historians to archaeologists who really know their stuff and made sightseeing a really enjoyable experience. Two tours are available: the Colosseum tour or the Vatican tour, which take you around a wide range of monuments and places of interest before the main event. Although it is free, tipping is encouraged but it's completely up to you how much you want to tip. 3. Be aware of pickpockets and scams. Now we visited Rome during the quieter months so we found we had no issues with this point but at the height of tourist seasons, it's definitely something you should be aware of. Basically, don't make yourself a target and you'll be fine. Make sure you have a secure zip on your bag and don't take anything from someone even if they say it's free.. it's not. If you want to see all of the attractions, it's safe to say you'll need a very comfortable pair of shoes. I made the mistake of bringing 1 pair of chelsea boots and while I looked fashionable, it's not a great mix with Rome's cobbled streets. Bring a pair of trainers for the most comfortable experience. Another thing to note is that some attractions have stricter dress codes than others, particularly in areas such as the Vatican and other religious sights. You don't have to be completely covered up but it's a good idea to bring a cardigan to cover your shoulders and opaque tights to cover your knees and legs. 5. Visit Rome during the start of the month. On the first Sunday of each month, all museums are free to access. This includes places like the Roman Forum and the Colosseum which are usually around €16 if I remember correctly. You still need a ticket to get in but do yourself a favour and head straight for the ticket office beside the Roman Forum, you'll still get it for free and you'll zoom past the 2-3 hour line of people waiting for tickets. Our total waiting time for the Colosseum? Less than 5 minutes, we couldn't believe our luck. 6. See the attractions at night. With the huge crowds of people wanting to take a picture at the attractions, you don't always get the best experience. If you really want to see the attractions in all their glory, stop by at around 10pm or later and the crowds will be non existent. 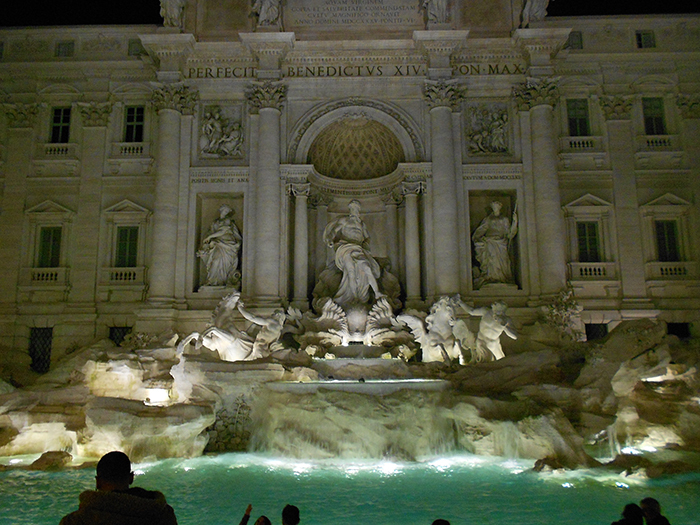 Most of the attractions are lit up at night such as the Colosseum, Roman Forum or the Trevi Fountain so if you feel like you didn't get to take it all in the first time, it will be a much more enjoyable experience. Forget buying bottled water every time you're thirsty. 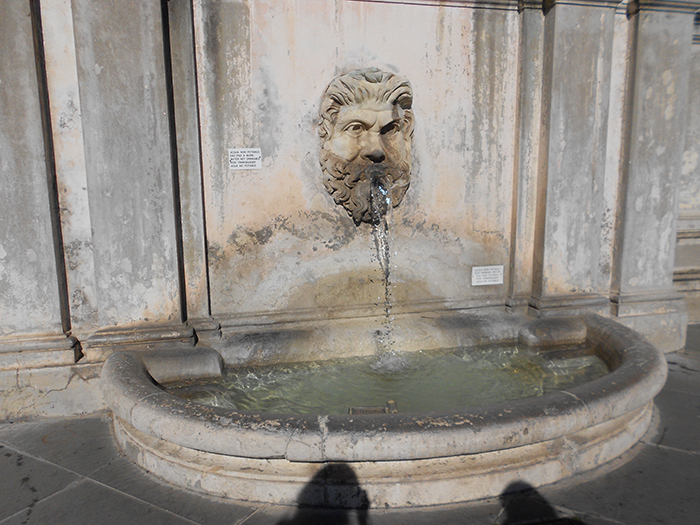 Rome is filled with free drinking fountains where you can simply fill up your bottle and be on your way. You'll save quite a bit of money, especially if you're there during the warmer months! It's safe to drink and very clean. 8. It's not as expensive as you might think. Before going to Rome everyone told me how expensive it was but to be honest, I found it pretty reasonable. For a 5 night stay I'd say you can get by on around €500, a little more or less depending on whether you're planning to do a little bit of shopping while you're there. Our average dinner cost was around €35 for the two of us, usually at least 2 courses with drinks. 9. Be aware of the city tax. You might not know but Rome has a tourist tax which basically means you have to pay a certain amount of euros per day of your stay. The rate is dependant on the star rating of your hotel: €4 per person per night for 2 and 3 star hotels, €6 per person per night for 4 star hotels and €7 per person per night for 5 star hotels. This is added on to your hotel bill at the end of your stay which you pay when you check out. We were aware before we travelled but for most it's probably a nasty surprise. 10. Avoid tourist attraction areas for dinner. Although it's convenient, you really won't get the best dining experience near all the main attractions. And while you're in the country known for their food, it's just simply not acceptable to have a sub par dining experience. Our best dining experiences were in the smaller neighbourhoods just outside of the main areas. 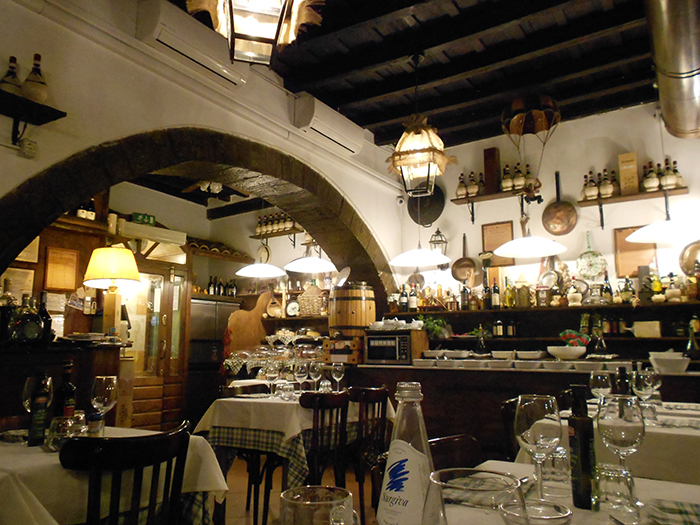 Our favourites were: For Castro Pretorio: Mamma Angela Trattoria, Monti: The Drunken Cow and Campo Marzio: Di Qua'. Overall, I don't think I've ever had such a stress free trip. Rome is definitely somewhere everyone should try to visit at some point. I couldn't recommend it enough! If anyone has any additional questions, I'm happy to answer in the comments below.